On a sunny afternoon in October, a herd of cattle nonchalantly crossed the Grand Southern Trunk Road at Alandur, posing a significant danger to the speeding vehicles on this highway. Diversions and minor collisions among bikers held up traffic here for about ten minutes. A few weeks later, a similar situation was witnessed on Jawaharlal Nehru Road in Koyambedu, where a rider fell as he tried to steer his vehicle away due to the sudden appearance of some cows on the road. 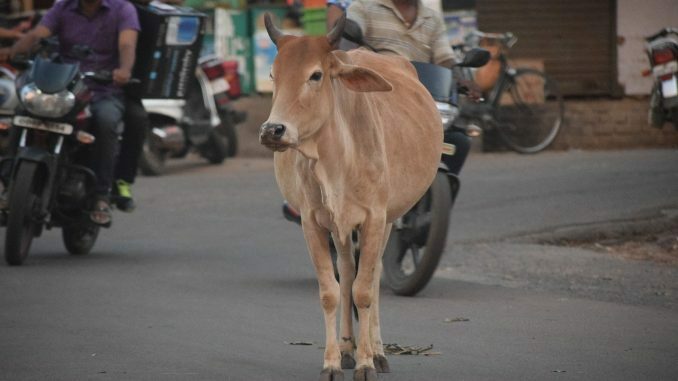 The situation is similar in most suburbs, where stray cattle literally rest in the middle of the roads for hours, disrupting traffic and posing hazards to pedestrians and motorists alike.But if you think that the menace of stray cattle is confined to those parts, you are mistaken. The fifteen zones of the Greater Chennai Corporation fare no better in this regard. 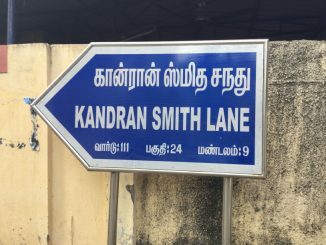 Most localities including Triplicane, Mylapore, Koyambedu, Adyar and Ekkaduthangal, and arterial roads such as Gandhi Mandapam Road, Arcot Road and Usman Road, suffer equally, as cattle owners, with no designated space for the cattle, and scant regard for the rules, let them loose on the roads. Cases of people injured by the cattle often go unreported, which is perhaps the reason why the civic body is escaping the ire of the citizens. When the Greater Chennai Corporation purchased fifteen vehicles, especially for cattle impoundment a few years ago, residents hoped that the problem would soon be a thing of the past. But, ironically, it has only intensified. Though senior officials in the Corporation boast of the swift action to curb cattle menace, the reality is somewhat different. Each zone in GCC has two to three workers, designated for the task of impounding cattle.The nexus between some of them and the cattle owners has been diluting the initiative to curb stray cattle menace in the city. A corporation worker, who has been impounding cattle for more than five years now revealed this to Citizen Matters. “It is an unspoken rule to not impound the cattle. The cattle owners pay each of the workers some amount (Rs 500 – Rs 1000) every month, so that their animals are not touched,” he shared on condition of anonymity. The above seems to be borne out by the recent experience of a residents’ association in Kotturpuram. Representatives of the association wrote letters complaining about the stray cattle menace in their area, to their Corporation Zonal office as well as to the police, collecting signatures of over 50 residents to support their request for action against the errant cattle owners. While they did not receive any response from the authorities, some of the residents met the owner of the cattle, but only to hear him openly boast of how all he had to do was shell out some money, and the complaint would be nullified. So he actually told them not to bother! Why is stricter action missing? Crippled by shortage funds and manpower, cattle impoundment has proved to be a Herculean task for GCC. In areas such as Ayanavaram and Villivakkam, cattle owners have political connections, making it an ordeal for law enforcers. Corporation workers also recollect several incidents when they were beaten up by the cattle owners for impounding the cattle. Lack of support from the police department constitutes another disincentive for these workers. 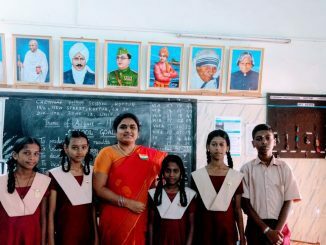 “There were around 30 police personnel in the vigilance department five years ago, who accompanied us during the raids. Now, there is just one Deputy Superintendent of Police and two inspectors, who are assigned other, “more important” tasks. Cattle impoundment is done just nominally now,” said S Puroshottaman, Corporation Union member. What happens to the impounded cattle? The Corporation shelters impounded cattle in the abandoned and vacant areas in the city. Perambur railway station road and the road near the Old Egmore High Court in Pudupet are a few such places. In line with The Cattle-Trespass (Tamil Nadu Amendment) Act, 1957, Chennai Corporation collects a sum of Rs 1,550 as penalty and for maintenance from those cattle owners, who let their animals free to free to stray on the city roads. They are charged for creating nuisance in public property. According to the Act, cattle damaging or straying on public roads, embankments, parks and others can be impounded and sent to the nearest pound. However, the civic body has no say on cattle kept inside houses. “If the animals are ill-treated inside the residences of owners, it would constitute a violation of animal rights. In such cases, people can lodge a complaint at the nearest police station or with any trusted animal rights organisations,” says Arjun Nagu, an animal rights activist. “Besides paying a penalty of Rs 1,550, cattle owners should also give a written statement promising not to repeat the offence,” says a veterinary officer from the GCC. However, there are many repeat offenders, but civic body officials would not disclose the number. Reliable sources from the Corporation also admit that the animals are not given proper feed at the corporation shelters. If the animal is not claimed within three days from the time of impoundment, corporation officials hand them over to Chennai Blue Cross for proper rehabilitation. According to statistics from Blue Cross, a total of 48 cattle reached their premises in 2016. As against that, in 2017, a total of 24 cattle were sent to them, a number that could perhaps be practically considered an indicator of the decline in impoundments. Dawn Williams of Blue Cross said, “We usually operate on the animals to remove plastic and other accretion from their stomachs and thus improve their life tenure. We have no authority to return the animals to the owners.” The animals thus continue to live in Blue cross shelters, with occasional supervision by the Corporation officials. What then can be a permanent solution to this problem irking many citizens, and particularly motorists? 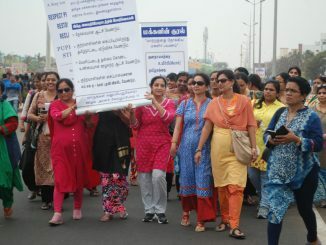 Corporation officials say that a proposal on the same will soon be drafted, to improve the plight of citizens on Chennai Roads. Can we be hopeful this time?